Interview: Neil Gaiman, Author Of 'The Sandman: Overture' The last issue of Neil Gaiman's Sandman comics came out a decade ago. 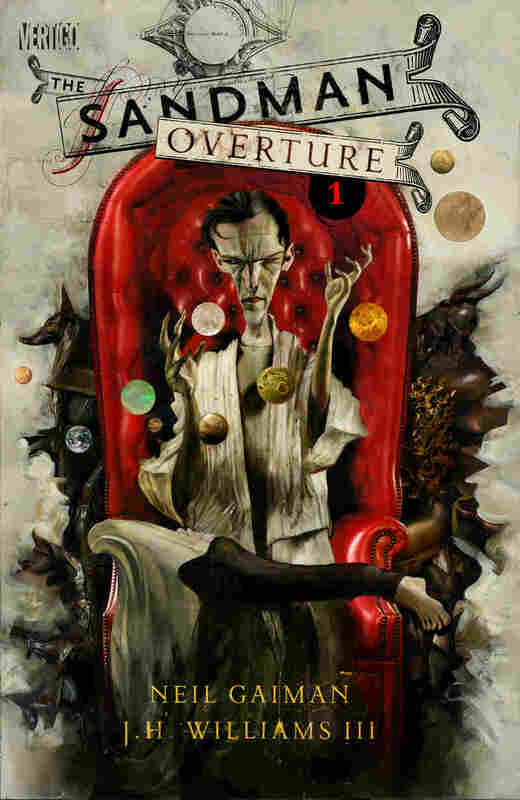 Now, the author returns to Dream's world with a prequel series, The Sandman: Overture. 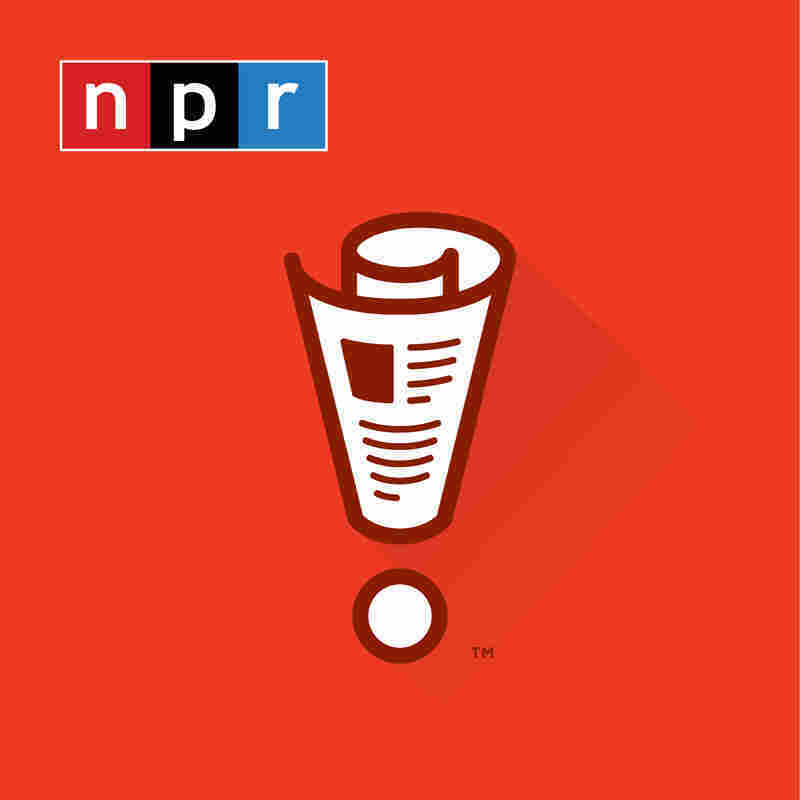 Gaiman speaks with NPR's Steve Inskeep about the freedom of starting something new and why he, like all writers, is a Sandman himself. Neil Gaiman started writing the Sandman comic books 25 years ago. Since then, he's written acclaimed fantasy novels, children's books and screenplays — but the pale, star-eyed Lord of Dreams remains one of his most beloved characters. Over the course of 75 issues, the series captivated fans and critics alike. The eponymous Sandman, whose many names also include Morpheus and Dream, is one of a family of seven called the Endless. They've existed since the universe began: Destiny, Death, Dream, Desire, Despair, Delirium and Destruction. As Gaiman explains to NPR's Steve Inskeep, Morpheus and his siblings aren't exactly gods. "In the Sandman universe, gods lose power when people stop worshipping them and forget about them," Gaiman says. "But the Endless don't want to be worshipped. They don't care, they just — they're doing a job." The last issue of The Sandman came out a decade ago. 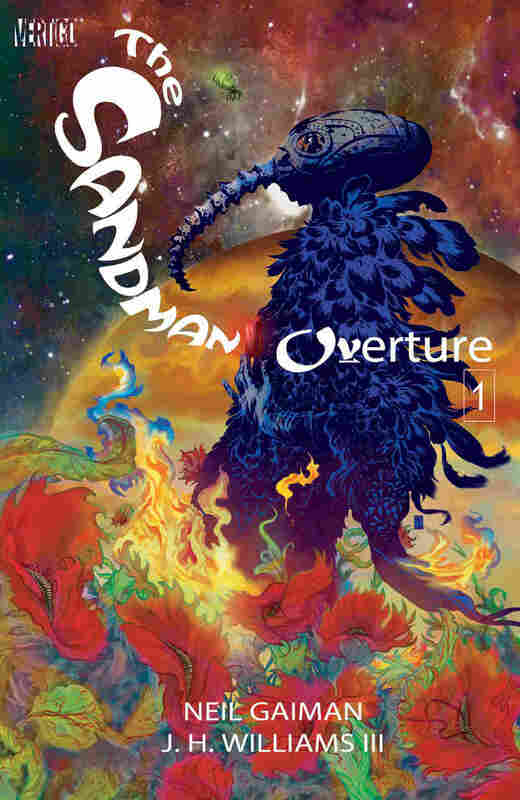 Now, Gaiman is returning with a prequel series, called The Sandman: Overture. He tells Inskeep about how he got bored with horror, why Death is nicer than Dream, and why comic scripts are so complicated. 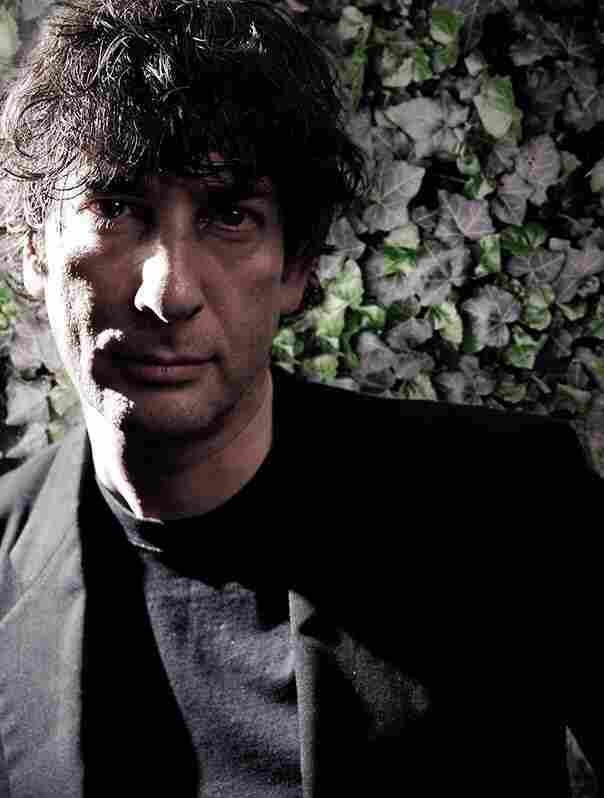 Neil Gaiman has written adult fantasy novels, children's books, screenplays and graphic novels. It starts out almost a horror comic. And then I start getting bored with horror, so it becomes a comic about other things. It becomes about history; it becomes about the responsibilities of leaders and kings; it becomes about whether we need gods, and if we do, why we need gods. He's not terribly interested in people individually. He's not interested in our redemption, he's just interested in running his world. His sister Death is much, much nicer than he is, because she's actually interested in people. She has to get down individually and meet every single person ... she has to be the one who turns to you and says, "You know, you really should have looked both ways before crossing that street," and she's nice. Dave McKean's variant cover for Sandman: Overture 1 presents a new vision of the Sandman. I write a script, and it's kind of like a film script, only a lot more complicated. In a comic, it's Page 1, Panel 1, and you have to decide what you're showing. Page 1, Panel 1 could be a finger on a doorbell. The fun thing for Sandman: Overture is on Page 2, I did one of those things you do as a writer to try and put, you know, these upstart artists you're working with in their place. I thought, well, I'll give him something impossible to do, and that'll teach him. So I asked Jim, J. H. Williams, to draw the Sandman, the Lord of Dreams, as a plant. And I said, "Just give me a white flower that is somehow reminiscent of a human face, and give me leaves that are reminiscent of a cloak." And not only did he do it, but he did it better than I ever imagined. That did happen several times while I was writing it. There was a story called "Season of Mists," which essentially is what happens when Lucifer quits hell and closes it down, and throws everyone out. Suddenly hell becomes the largest place of desirable psychic real estate in the universe, and poor Dream winds up having to decide between angels; there are lords of chaos and order, there are Japanese gods and Greek gods, all of them ... essentially cosmic real estate developers, all wanting to take it over, and he has to deal with the consequences thereof. And you come up with a story like that and you go, this is just too weird! And then you have magical artists working with you and people making it happen, and at the end of it you feel — delighted, and rather terribly proud of yourself. Neil Gaiman Asks: Heard Any Good Books Lately? It's true on a weird kind of level, because if you're a writer, the way that you write is that you always go and find the bits of you that are that thing, and put them in and imbue them into a character to give them life. So on that basis, I definitely am the Sandman. But I'm Morpheus as long as I can also be Death, and as long as I can be Merv Pumpkinhead, who is the only character in the whole of the book who really doesn't have an awful lot of time for Morpheus but works for him. We all do that, every writer ... one of the titles of the Sandman — and it's a title that I stole from Lou Reed, who died so recently, from a song — is the Prince of Stories. And I think any writer worth his or her salt gets to be the Prince of Stories, gets to be the Princess of Stories. We get to direct people; we get to give them waking dreams. We get to take them places, do magical things to their heads, and, with any luck, send them back to the day that they came from slightly changed, and not the person that they were when we got our hands on them and said, "I want to tell you a story."